SO MUCH FOR JUSTICE, world famous Miklós Jancsó’s latest feature competes at the 34th Cairo IFF. EAST SIDE STORIES, a new omnibus film project by four Hungarian auteurs takes part in the Digital Competition, whose jury includes Ágnes Kocsis. 20th jubilee Festival de Cine Fantástico organized by the University of Malaga awarded Pater Sparow’s feature debut 1 and Roland Vranik’s dystopian drama Transmission. ADRIENN PÁL, BIBLIOTHEQUE PASCAL and MAMA will be on show at the 14th Tallinn Black Nights Film Festival, the highlight of Estonia’s film calendar. Special Jury Prize and Best Director of Photography Award went to TENDER SON - THE FRANKENSTEIN-PROJECT by Kornél Mundruczó at Seville European Film Festival, the biggest cinematic event in Spain. AFI Fest premieres Ágnes Kocsis 2nd feature in its prestigious New Auteurs selection in the US. Ferenc Cakó’s TOUCH won Valladolid Seminci’s Silver Spike, while the Best Fiction award of the Bergamo Cortopotere short contest went to László Nemes for THE COUNTERPART. FilmFestival Cottbus premieres Ágnes Kocsis’ ADRIENN PÁL in Germany. The leading fest of Eastern European Cinema screens works by Pici Pápai, Benedek Fliegauf, Diana Groó and Kornél Mundruczó. Co-production Market selected new projects by Gyula Nemes and József Pacskovszy. 14th Jihlava International Documentary Film Festival shows András Szirtes works in a retrospective, Gyula Nemes’ NEGATIVE HISTORY OF HUNGARIAN CINEMA and Júlia Szederkényi’s CAVE are in competition. István Nagy and Péter Forgács are among this year’s Silver Eye nominees. WHITE PALMS, ADRIENN PÁL, HUNKY BLUES, PUSKÁS HUNGARY – BOZAR, Brussels’ Centre for Fine Arts hosts the Belgian premiere of highly acclaimed Hungarian films in "Cinema Troika". Chicago IFF honoured Márta Mészáros for her long and distinguished career in the international cinema on the occasion of the US premiere of her latest feature, THE LAST REPORT ON ANNA. Ágnes Kocsis' ADRIENN PÁL and Benedek Fliegauf's WOMB enriche London Film Festivals' Cinema Europa, a cinematic journey across a continent. Kornél Mundruczó’s TENDER SON in main competition and Ágnes Kocsis in the jury - Belgium’s leading cinematic event, held between 12-23 October, shows four outstanding Hungarian feature films. Latest works by Ágnes Kocsis, Szabolcs Hajdu, Robert Pejo and Adam Császi are on show at the 26th Warsaw IFF. Poland’s leading film event hosts the European premiere of CHILDREN OF THE GREEN DRAGON, Bence Miklauzic’s new feature. Hungary is the Guest Country at the 5th edition of Anim’est International Animation Film Festival. This is an opportunity for the Bucharest audience to follow some of the best animated Hungarian films, both feature length and short, a best of collection from the national filmography of one of the most important animated film producers in Central and Eastern Europe. Bence Miklauzic’s second feature, CHILDREN OF THE GREEN DRAGON will be premiered in the Flash Forward Competition of 15th Pusan IFF. The leading Asian film event screens Hungary’s official Oscar entry BIBLIOTHEQUE PASCAL as well. Ostrava Kamera Oko’s Main Prize went to András Nagy for BIBLIOTHEQUE PASCAL and the Jury’s Special Mention recognized Mátyás Erdély for TENDER SON. Kaunas International Film Festival in cooperation with Magyar Filmunió and Hungarian Cultural Institute in Tallinn will present a retrospective of the famous and unique Hungarian filmmaker and screenwriter Béla Tarr. The organisers are glad to announce that Béla Tarr has confirmed his participation in person at the Kaunas Film Festival. The Latvian capital’s largest international film festival, Arsenals recognizes Ágnes Kocsis’ second feature, ADRIENN PAL. Hungary’s entry for the European Film Awards is currently on show at Zürich IFF and Festival do Rio. Bálint Szimler’s Cannes Cinéfondation title was awarded at Drama Film Festival. The Prix Drama assures a direct nomination for the European Film Academy Short Film Award 2010. Reykjavik IFF’s new section Emerging Master shows Benedek Fliegauf’s FOREST, DEALER and WOMB. The cinematic event hosted by Iceland’s capital city screens György Fehér’s legendary classic, TWILIGHT from 1990. Recent Hungarian co-productions round up the strong Hungarian presence at the Reykjavik IFF this year. Riga Arsenals International Film Forum and Zürich Film Festival show Ágnes Kocsis’ second feature in main competition. The Hungarian-Dutch-Austrian-French co-production was awarded by the Cannes FIPRESCI Jury in May. Sao Paulo’s 5th CineFantasy dedicated to fantastic cinema awarded 1 directed by Pater Sparrow and Krisztián Károly Köves’ DEATHWALTZ. József Berger’s Budapest-based company Mythberg Films enjoyed success at the 67th Venice Film Festival with its co-production ESSENTIAL KILLING by Polish director Jerzy Skolimowski. The film scooped double honours with the Special Jury Prize and the Volpi Cup for Best Actor (Vincent Gallo). 2010 EFA list announced: Ágnes Kocsis’ ADRIENN PÁL is among the 46 titles on the European Film Academy's pre-selection list for upcoming European Film Award nominations. The Special Festival Award 2010 for the outstanding contribution to the artistic development of the moving image goes to celebrated Hungarian film director Miklos Jancsó. 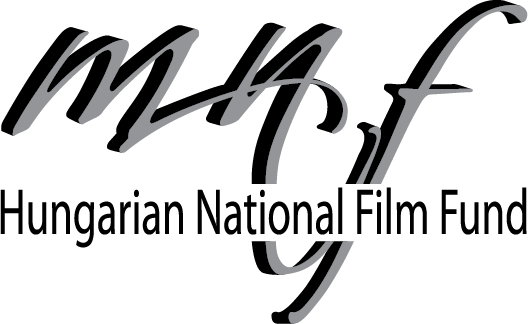 The International Festival of New Film’s 2010 edition is enriched by György Pálfi’s, Sándor Kardos’ and Dénes Nagy’s recent work. At the meeting of the Hungarian Selection Committee for Academy Awards Entry held on the 7th September, it was announced that Hungary will enter BIBLIOTHEQUE PASCAL by Szabolcs Hajdu for consideration for the Best Foreign Language Film of the Year. The 35th Toronto IFF premieres the latest features by Benedek Fliegauf and Kornél Mundruczó in North America. EFP’s Film Sales Support assists the marketing campaign of TENDER SON while T PROJECT, György Pálfi’s planned co-production will be presented to Canadian producers by Katapult Film in Producers Lab, the new EFP initiative. L’Etrange festival hosted by Forum des Images premieres Szabolcs Hajdu’s latest feature in France. Helsinki Love&Anarchy and Fesival do Rio will also show the outstanding Hungarian-German coproduction in September. Prague Fresh Film Fest’s audience awarded Pater Sparrow’s directorial debut feature, the Hungarian sci-fi movie 1 based on Stanislaw Lem’s One Human Minute. Montreal World Film Festival shows KOLORADO KID, QUESTION IN DETAILS and VESPA. András Vágvölgyi B.’s KOLORADO KID has been invited to compete for the fest’s prominent Golden Zenith, the main prize of the First Films World Competition. Jerzy Skolimowski’s ESSENTIAL KILLING coproduced by Budapest-based Mythberg Films to premiere in competition at the 67th Venice Film Festival beginning on 1st September. THE COUNTERPART by László Nemes and TELL YOUR CHILDREN by András Salamon were among the award winners of Salento Finibus Terrae festival’s 8th edition. Mundruczó, Hajdu, Bogdán, Kenyeres – Young Hungarian filmmakers collected altogether five awards at the 16th Sarajevo Film Festival, the region’s high-profile cinematic event in the Bosnian capital. Czech Summer Film School presents a complete retrospective of Béla Tarr’s work. The Association of Czech Film Clubs (ACFK), as the main organizer of the event, recognizes Tarr with the Honorary Award for Lifetime Achievement in World Cinema. Australia's most critically acclaimed international film festival, the 59th Melbourne IFF premieres Szabolcs Hajdu’s latest feature. Record-breaking number of Hungarian filmmakers have been invited to South-Eastern Europe’s key cinema event, the Sarajevo Film Festival beginning on 23rd July. Beside the competition films, the CineLink development workshop also hosts a record number of Hungarian projects this year. Benedek Fliegauf’s first English language feature film, WOMB, has been invited to compete for the prestigious Golden Leopard of the 63rd Locarno festival. MORGEN, Marian Crisan’s first feature co-produced by Hungarian Katapult Film is also among the 18 titles competing at the lakeside Swiss festival between 4-14 August. Pater Sparrow feature debut, 1, will have its North American premiere at FanTasia, Montreal high-profile genre film festival. MAMA, a Hungarian short film directed by Géza M. Tóth won the CEI Award of the Maremetraggio festival in Trieste, Italy. The ten feature films pre-selected to compete for European Parliament LUX Prize, have been unveiled at the Brussels Film Festival. Szabolcs Hajdu’s BIBLIOTHEQUE PASCAL is among the contenders. The German premiere of Kornél Mundruczó’s TENDER SON - THE FRANKENSTEIN PROJECT will be hosted by Germany’s largest summer film festival, Filmfest Münichen. The new Mundruczó film is one of the 14 movies nominated for Arri-Zeiss Award for Best Foreign Film. Brussels Flagey hosted European film festival invited the latest feature films by Szabolcs Hajdu and György Pálfi to compete for the Golden Iris Award. THE LAST REPORT ON ANNA, a film by Márta Mészáros competes at Moscow film fest beginning on 17 June. Robert Pejó’s THE CAMERA MURDERER and Srdjan Karanovic’ BESA, two Hungarian co-productions take part of the A-category contest held in the Russian capital as well. The annual Los Angeles Film Festival presents Szabolcs Hajdu’s Hungarian Film Week Main Prize Winner BIBLIOTHEQUE PASCAL. The world-class event presented by L.A. Times shows Kenyeres Bálint’ short, THE HISTORY OF AVIATION as well. The 64th Edinburgh IFF hosts the UK premiere of József Pacskovszky's THE DAYS OF DESIRE. Sándor Csukás' directorial debut, BIRTHDAY enriches the short film program of Scotland's high-profile cinematic event. Tamás Dömötör's second feature set in a "problem-solving" talk-show competes at SIFF, China's only A-category film festival. The international premiere will be held on 14 June at the glamorous showcase of the Chinese metropolis. Annecy Festival is celebrating its 50th birthday, 10 animations from Hungary are on show. Surprise Screenings, CAT CITY 2, CHAMELEON, I’M NOT YOUR FRIEND, LOST TIMES, PUSKAS HUNGARY, TRANSMISSION and THE MUZSIKÁS STORY enrich the 9th Transilvania IFF, Romania’s number one cinematic event. Cannes FIPRESCI jury presented the Un Certain Regard Prize of the International Critics to the Hungarian film ADRIENN PÁL directed by Ágnes Kocsis. Roland Vranik’s TRANSMISSION and Árpád Sopsits’ THE SEVENTH CIRCLE was rewarded by the juries of the Amsterdam Fantastic Film Festival ended on Saturday. Kornél Mundruczó’s new feature film, TENDER SON – The Frankenstein Project has been invited to the official competition of the 63rd Cannes Film Festival. Bálint Szimler’s short, HERE I AM was selected to participate in the Cinéfondation, where it will compete among the best student films of the world, at the 63rd Cannes Film Festival. Wiesbaden’s GoEast Film Festival kicks off today, celebrating its 10th anniversary. The festival lines up seven Hungarian films, including József Pacskovszky’s and Roland Vranik’s recent features in competition. ADRIENN PÁL, Ágnes Kocsis's second feature film will be presented as part of the Un Certain Regard programme at the 2010 Festival de Cannes, the most important film festival in the world. Gyula Nemes' LOST WORLD won Best International Film Award at the 48th Ann Arbor Film Festival in Michigan. Károly Ujj Mészáros' first feature project LIZA, THE FOX FAIRY is among the 15 pics from around the world that will be featured at the Cannes Film Festival's sixth Cinefondation L'Atelier. Facets Multi-Media announces the US release of Cannes award-winner DELTA. Oporto IFF - Portugal's biggest film celebration - awarded Best Director and Best Actor prize to Pater Sparrow's feature debut, 1 based on Stanislaw Lem's short story One Human Minute. Highly acclaimed features by Bollók, Fliegauf, Hajdu, Kocsis, Mátyássy, Mundruczó and Pálfi enrich Bergamo Film Meeting’s special program entitled FRESH AIR: NEW HUNGARIAN CINEMA. Viktor Oszkár Nagy directorial debut has been invited to the Rosa Camuna main competition. download the Newsletter of Magyar Filmunió! 16 new feature films will compete for the Golden Reel Award at the 41st Hungarian Film Week running between February 2 -8 in Budapest. The competition of Magyar cinematography’s traditional showcase offers the world premieres of 13 full-length features among them 4 directorial debuts. Ferenc Grunwalsky resigned his position as Chairman of the Motion Picture Public Foundation of Hungary.